TRIPA PEAT SWAMP, Indonesia (AP) — Palm oil is used in everything from cookies and lipstick to paint, shampoo and instant noodles, and Indonesia is the world’s top producer. As demand soars, plantations are expanding. 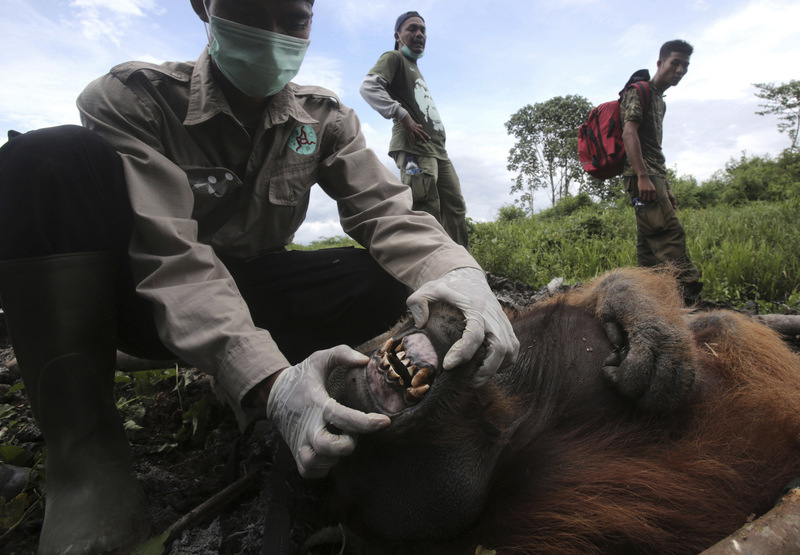 In Tripa, companies drain the swamp, releasing planet-warming carbon into the atmosphere and clear the forest of its native trees, often setting illegal fires.This robs orangutans and other endangered species of their habitats, leaving the animals marooned on small swaths of forest, boxed-in on all sides by plantations. They starve or they are killed by plantation workers when they emerge from the jungle in search of food. Mothers often die protecting their babies, which are taken and sold as illegal pets.